This is the third major revision of a design which I have been refining for a number of years. Note: This clock needs the WWVB signal to work properly. It will not work correctly outside of the USA. 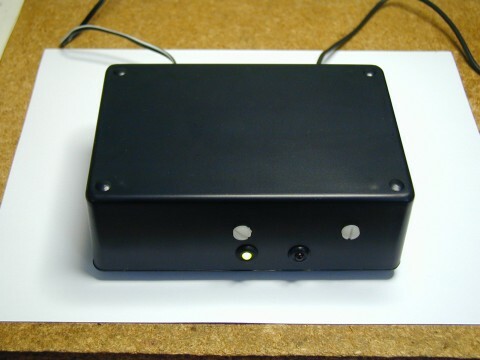 Above photo shows a populated WWVB chiming clock pc board with a WWVB receiver module and its ferrite rod antenna connected. Six eyelets at the top of the board connect to three pushbutton switches for selecting clock type, time zone (USA only), etc. Four eyelets near bottom edge are for green and red LED's to indicate WWVB reception status. DC power jack is shown in upper left corner. 1/8" stereo audio jack is in upper right. (Clock output is mono, fed to both channels) SMT RTC chip in lower left corner keeps accurate time between syncs and during power loss. SMT serial flash chip (bottom center) holds all waveforms. TI audio DAC is small SMT chip closest to audio jack. PIC chip (28-pin DIP) controls all activities. Note: This clock relies on the WWVB signal for accurate timekeeping. Although it may work without the signal, I don't recommend using it this way. Also, the time zone can only be set to the four zones in the Continental USA. 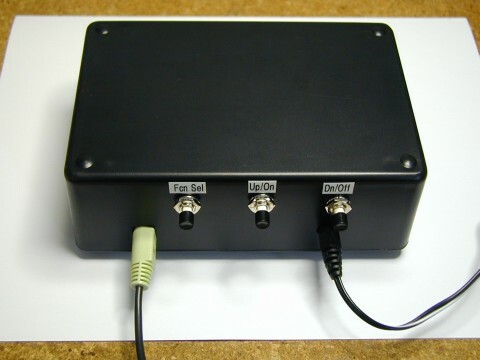 Includes clock bare pcb, programmed PIC microcontroller, programmed Flash memory chip, WWVB module, and WWVB ferrite bar antenna. 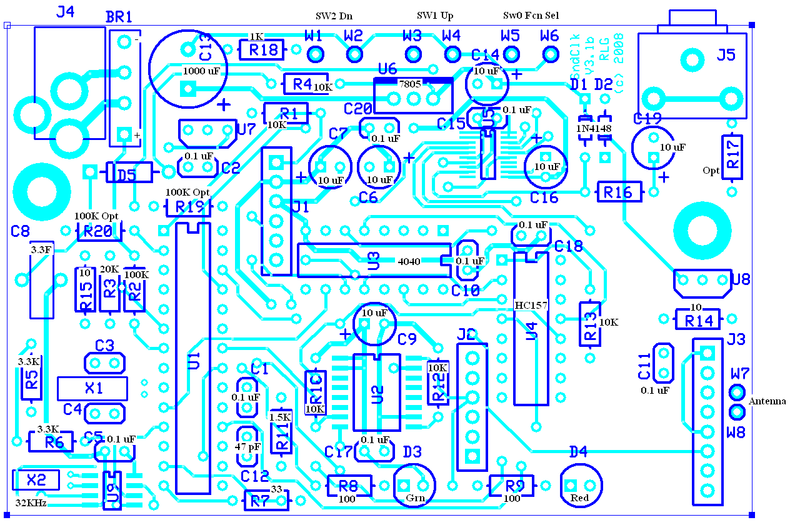 All other electronic parts necessary to assemble the board are available at Digikey. 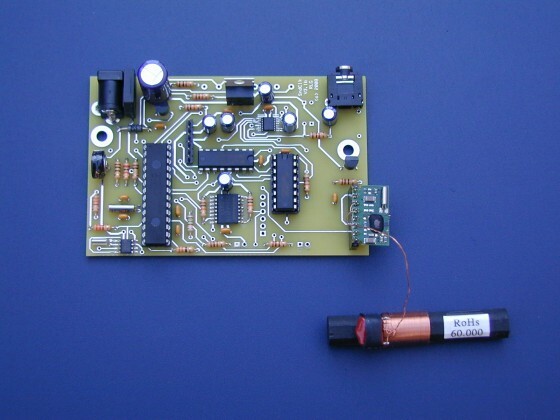 DAC and RTC chips have small pins and require good SMT soldering skills to install. Flash chip is also SMT. Please download assembly instructions, schematic page 1 and page 2, parts list, parts placement, and operating instructions.